Happy 1st Birthday Daydream Tourist! Happy blog-iversary Daydream Tourist! One year ago, I was itching to use my passport, enjoyed planning hypothetical trips and thought I could share that with a wider audience (hence the blog title Daydream Tourist). Luckily I wasn’t too strict and let the posts and scope of the blog evolve. Part hobby, part creative outlet, I’ve enjoyed writing, researching and sharing and am proud of what I’ve done this past year. The greatest revelation of this experience has been how much I love art and history. Like I said, I originally meant to write a travel planning blog but when my fourth post was about my favorite Hapsburg rulers, it was pretty clear my interests were broad! This sounds laughably nerdy, but I’ve really enjoyed the primary research and detective work of The Friedrich Wahle Project and hope to make more progress this coming year. It was also fun to find my niche among travel bloggers. I’m not really one for adventures and crazy, breath-taking experiences. I’m someone who likes to linger and absorb the details of a place whether that’s through people-watching or spending 4hours at a small archaeological site. I’d like to think I share interesting observation and pictures from my travel with a mix of history and context to these places. I’ve also learned that writing is hard. Don’t get me wrong, I write quite a bit professionally, but its a technical style that doesn’t lend itself easily to art history and travel subject matter, nor to the tone of a blog. The Daydream Tourist has been good practice for me and I hope that with time my writing will improve and I can get a little faster at making these posts. I would also be helpful if I stopped perpetually editing my draft posts and published them. Right now, I have 10 semi-completed stories, so if in the next week there is a wave of slightly awkward posts to go up, you know I just got fed up and let them loose. 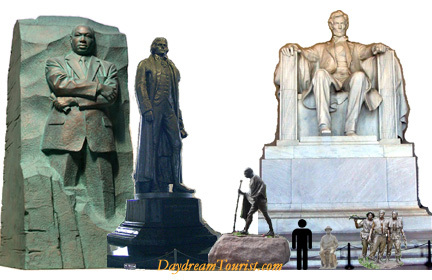 I particularly liked the image I made for my MLK Memorial post which showed the relative size of some DC memorial statues relative to a 6′ tall person. My Favorite Posts: It should come as no surprise, that I’ve enjoyed writing pieces that require some investigation and analysis. I really liked my post on the Iconography of John the Baptist. It was an interesting story to tell and was genuinely inspired by something small I noticed and didn’t understand. I also liked putting together and doing some critical analysis of the outdoor context of several Arnaldo Pomodoro sculptures and showing the connection between art history and the 2011 Nobel Prize for Chemistry. I definitely like the gratuitous use of John Singer Sargent paintings and the amusing hypothetical question posed in the My Perfect Portrait post. It’s really hard to choose a favorite travel experience but I must say I loved the ancient Marathon re-enactors, the mosaics at Ravenna and my photos of the Istanbul Spice Market. Most Popular Posts: My most popular post describes how historical, artistic and scientific analysis was used to determine what George Washington looked like. I discussed a beautiful piece of research from Mount Vernon in collaboration with the University of Pittsburgh and Arizona State University. I half suspect these page views were all from middle school students trying to write a report on George Washington. Hopefully they learned a little bit about America’s first President and something about forensic anthropology! My second most popular post was on the virtual reconstruction of Duccio’s Maesta altarpiece. The huge painting is a 14th century masterpiece and raises some interesting questions about restoration. I’m happy with how that article turned out; it was actually pretty fun tracking down the panels outside of Siena and making the Maesta images! It’s also interesting to see what posts get views based on internet searches. 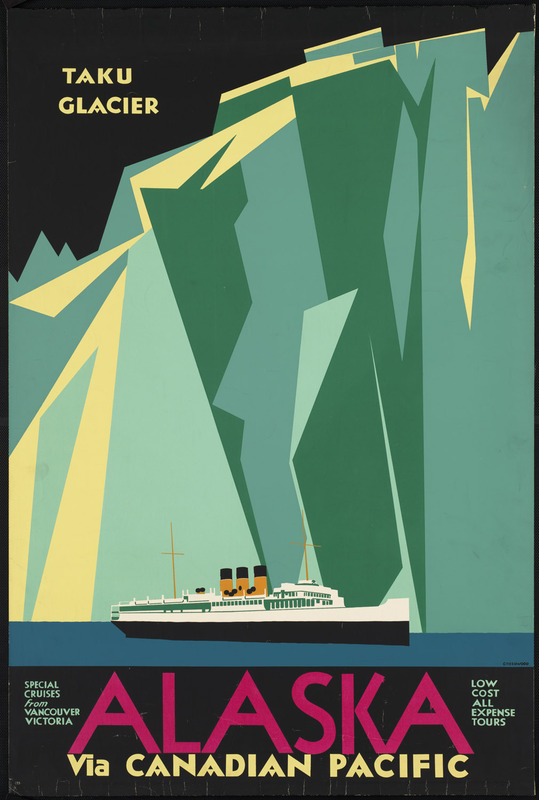 A post about vintage travel posters and my very first post which included a UNESCO World Heritage map still get very consistent traffic. Special Thanks! I want to thank my readers and 61 followers. It’s very encouraging to see that others actually like what I post! 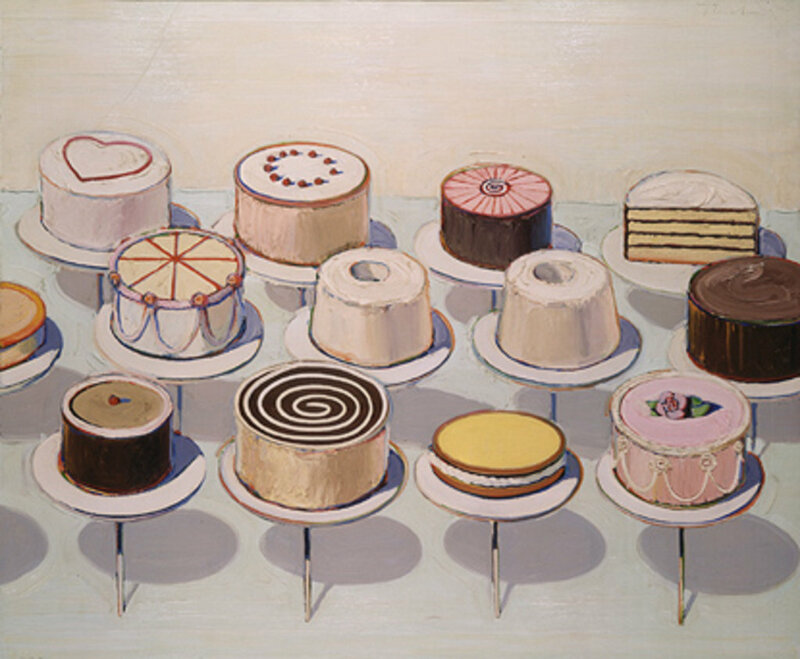 Thanks also to top commenter and art news conduit Elliott in Gotham!